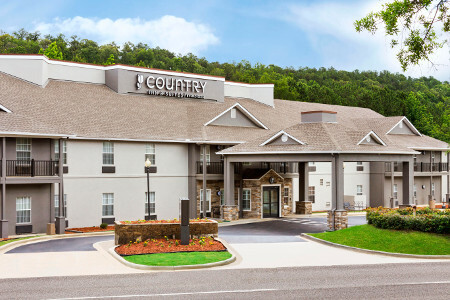 Make the Country Inn & Suites® by Radisson, Birmingham-Hoover, AL your home base to see all that Birmingham has to offer, from the Birmingham Botanical Gardens to the Birmingham Zoo. Drive about seven miles to attend sporting events at The University of Alabama at Birmingham, or take your kids to the McWane Science Center for an educational IMAX movie. Here for work? Our hotel is just minutes from businesses like Assurant, EBSCO and more. 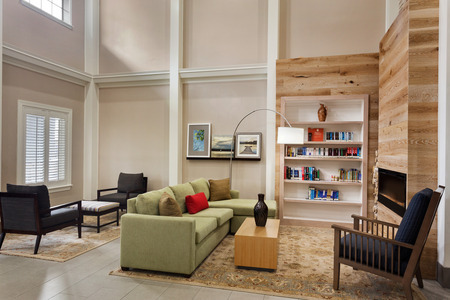 Learn more about our Hoover, AL hotel's amenities and services. Traveling with a group? Book our Two Double Bed Suite with a sleeper sofa and a wet bar. 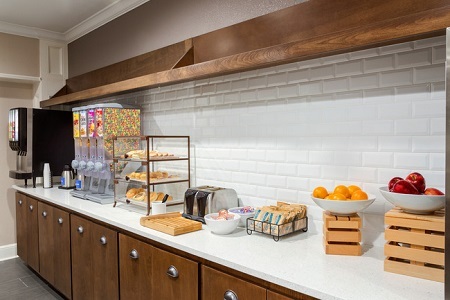 Let us brighten every morning for you with our complimentary, hot breakfast. Choose from classics like eggs, waffles and cereal, and pair them with a glass of juice or a cup of freshly brewed coffee. For lunch and dinner, try one of several excellent nearby restaurants in our Cahaba Heights neighborhood. Sit down to Mediterranean fare at The Olive Branch, or head to MOOYAH Burgers, Fries and Shakes for one of the city’s best burgers. The Summit Birmingham - This outdoor shopping center offers a movie theater, a variety of restaurants and stores like Apple and Ann Taylor. Travel just two miles from the hotel for relaxing retail therapy or one of the special events that take place throughout the year. Birmingham Zoo - Located less than six miles away, Birmingham Zoo spans 122 acres, providing refuge for more than 900 animals. See animal-feeding demonstrations, ride a carousel, or simply admire the otters and rhinos just being themselves. Iron City - Sing along with your favorite band or be amazed by a special performance at this 1,300-person venue. After a show on one of the facility’s three stages, head to the on-site restaurant or one of two on-site bars. Traveling to Hoover, Alabama with a tour group or a sports team? 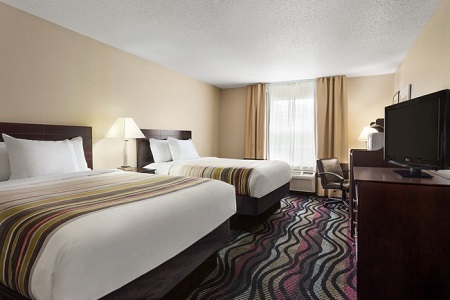 We cater to groups and offer blocks of rooms with discounted rates. Learn more about our group rates.